Our DeepConcealment Shoulder Gun Holster will conceal your pistol or revolver without the need to wear a suit or jacket! Unlike other shoulder holster rigs, the DeepConcealment Shoulder Gun Holster conceals your pistol or revolver without the need to wear a suit or jacket! 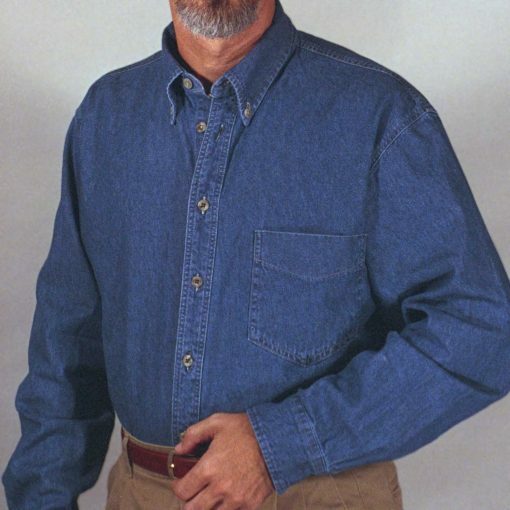 It will conceal your gun under your regular, plain shirt! Nothing shows on the outside. The unique design holds the gun very close to your body for maximum concealment. CONCEALMENT: You can effectively carry, completely concealed, from medium to small frame autos and revolvers, along with extra ammo, without a jacket! COMFORTABLE: The DeepConcealment shoulder gun holster has two shoulder straps to better stabilize and distribute the weight of your gun to your shoulders and across your back making it feel almost weightless. ADJUSTABLE: It is fully adjustable and since it’s made from elastic, it will adjust to any body type. CONCEALED: Won’t show through most clothing. EXTRA PADDING: Features extra padding to protect your gun from perspiration and for comfort. EXTRA ITEMS: Two extra holders on the opposite side will carry extra magazines, speed strips, money, folding knife, flashlight, multi-tool or other small items. 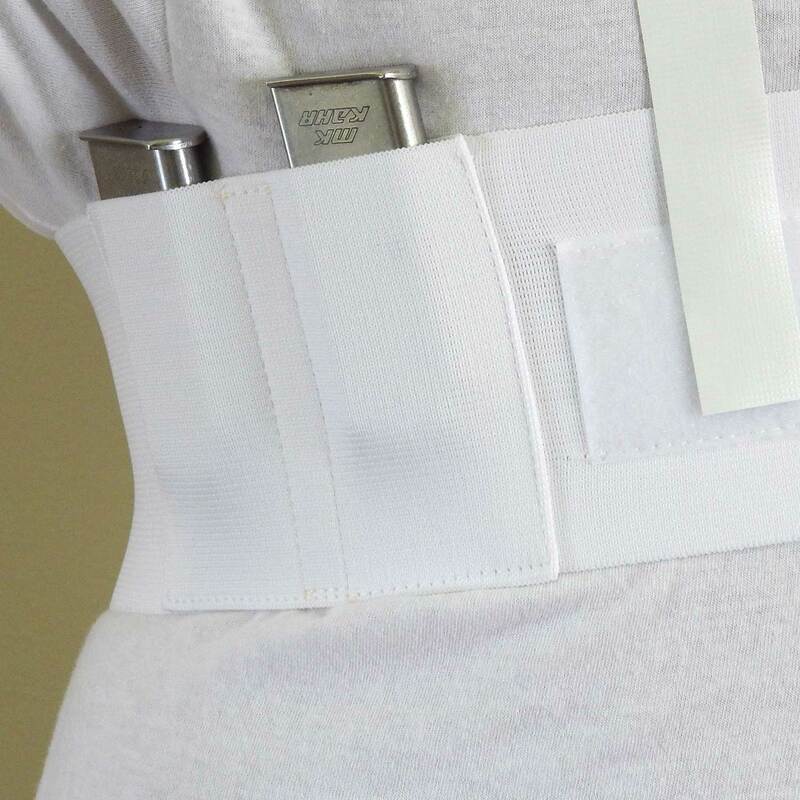 SECURITY: Comes with a retention strap to secure your handgun inside the holster. MULTI GUN: Open muzzle design accommodates different barrel lengths. QUALITY PRODUCT: Made from premium USA-Made breathable elastic and Velcro for extreme concealability. This special lightweight, long-lasting elastic has a unique plush finish on one side so it feels like velvet on your skin for a comfortable, extended all-day carry. You’ll forget you’re carrying a gun! There’s no other shoulder holster anywhere that conceals better. Period. See for yourself—at no-risk to you. The DeepConcealment shoulder gun holster is a high-quality product designed for no-nonsense, practical everyday use. It is one of the most versatile and comfortable method of deep concealment available. You can wear it in almost every situation! Whether you dress up in formal wear for the office or go casual, the DeepConcealment will be there, totally concealed and ready! Countless law enforcement personnel throughout the country use the DeepConcealment shoulder gun holster in airport and airplane security and undercover work. FREE GIFT INCLUDED WITH EACH HOLSTER The Self-Defense Guideline Card! The seven steps you must take to keep you from going to prison if you ever have to use your gun in self-defense. This card reveals, step-by-step, exactly what to do after the confrontation ends and the confusion begins. It contains vital information to protect you! If you carry a gun for protection, you can’t afford to be without this card in your wallet or purse. Now you can get this card absolutely free, just by trying the DeepConcealment! 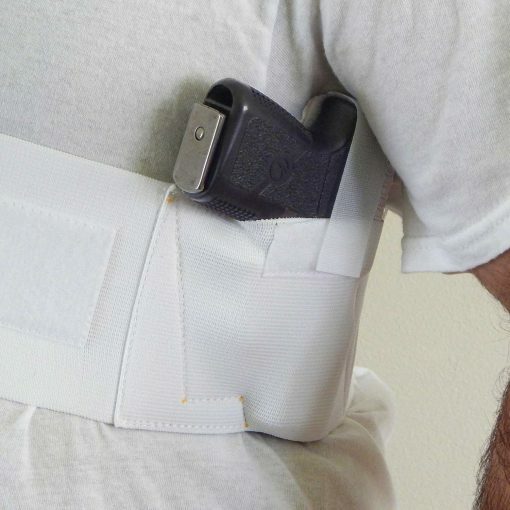 GUARANTEE Money Back Guarantee: If you’re not more than delighted with the holster’s quality construction, unsurpassed versatility and comfort, just return it within one year for a full refund. You’ll still get to keep your free gift—The Self-Defense Guideline Card—as a way of saying “thanks for giving the DeepConcealment shoulder holster a try” Fits most handguns such as Glock 19, 26, 43, Sig Sauer, Beretta, Springfield, M&P Shield, Ruger LC9, Taurus, Kahr, Kimber, Kel Tec, Bersa, Walther, S&W, 380, 40 Auto, 38 special, 45 ACP, 357, 9mm, 10mm, and many more. Copied countless times, you can find dozens of companies selling cheap, imported imitations of the DeepConcealment. We designed the DeepConcealment over 20 years ago, and we proudly manufacture them in the USA using only the finest elastic, bonded nylon thread and Velcro available. You can buy a cheap imitation, but with the DeepConcealment, you will receive a QUALITY USA designed and made, long-lasting holster you can depend on in a life or death situation! With a thumb break you are able to draw your gun much faster, using only one hand, than with the standard retention strap. The thumb break is a two-piece retaining device that is placed over your gun to secure it inside the holster. The two parts are held together by a snap and released by a pushing motion of your thumb against the back stiff-top part. Velcro secures the thumb break to the holster body. What’s the difference between the DeepConcealment and other shoulder holsters? The DeepConcealment was designed solely for one purpose—to enable you to effectively conceal a handgun and carry it comfortably without the need to wear a suit, jacket or sweater. You can carry your gun just wearing a regular shirt or even under a t-shirt! It won’t show through most clothing. How will I draw my gun if it’s under my shirt? With a little practice you’ll be amazed at how quickly you can get to your gun. To draw your gun when wearing a pullover or T-shirt, simply pull up on the shirt with your weak hand to expose the gun’s grip. Grasp the grip with your firing hand and pull gun out. With a buttoned shirt, simply pull up shirt as with a pullover or unbutton the top buttons, insert hand and remove gun. How comfortable is the DeepConcealment? 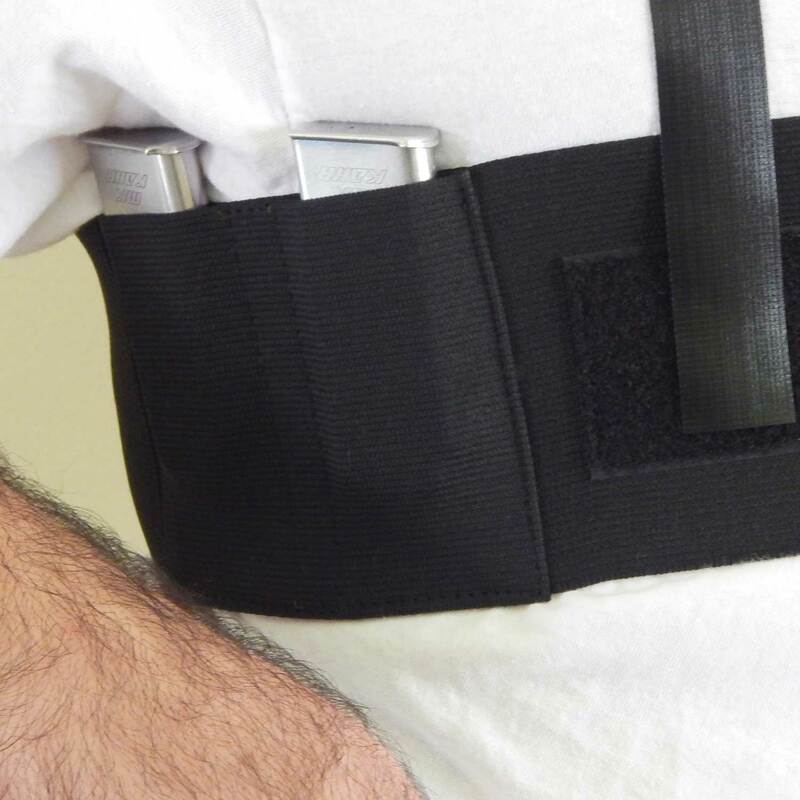 The DeepConcealment uses an adjustable strap system along with a three inch wide belt to evenly distribute the weight of your gun around your entire chest, back and shoulders, so the gun feels weightless. Since it’s made from elastic and Velcro®, it hugs and adjusts to any body type and won’t restrict your movement. Features extra padding to protect your gun from perspiration and for added comfort. Wearing darker outer shirts will greatly help conceal your gun and the shoulder holster. 1. 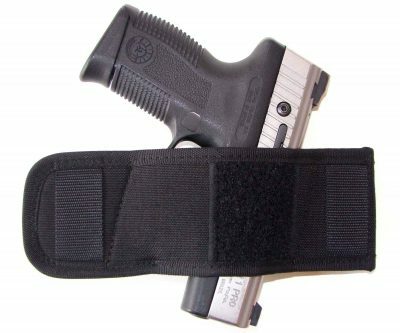 Wrap the holster around your chest with the gun pouch under your left arm pit and fasten velcro. 2. 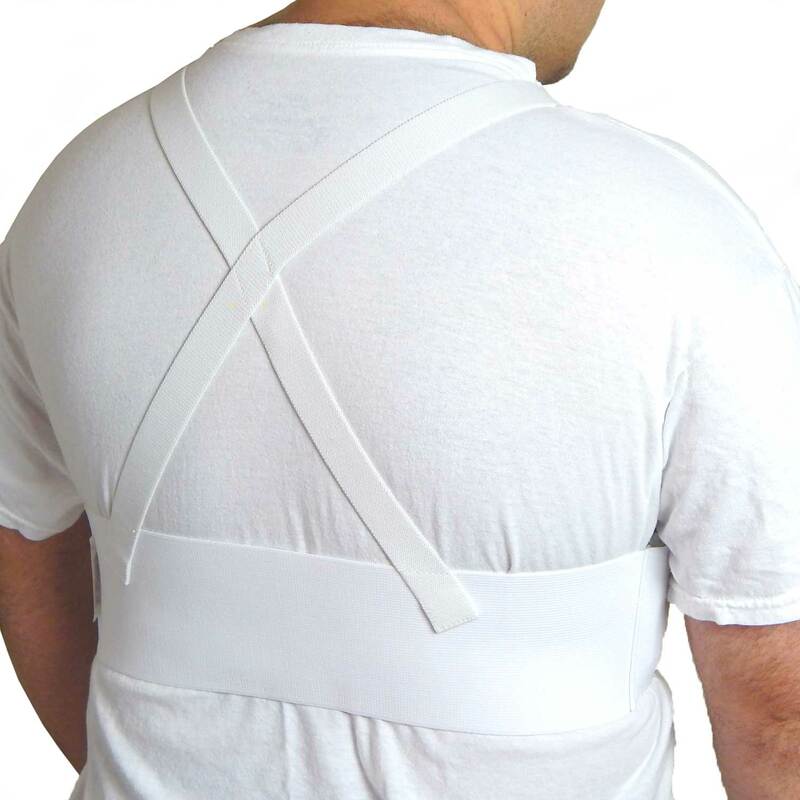 Pull adjusting straps over shoulders making sure they cross over on your back. 3. Adjust the shoulder straps to a comfortable length and secure to velcro patches at the front of the holster. 4. Insert your gun into the gun pouch. 5. Secure gun in the holster by using the retention strap. 6. Readjust the shoulder straps if needed. Always remove handgun before readjusting. 7. Put on outer shirt. I have been carrying a concealed weapon for almost ten years and I am still looking for the perfect CCW holster. I’ve tried many but so far none has matched the comfort and deep concealment of this holster. Using this holster, your weapon and two magazines fit well up into your armpit (depending on your adjustment) and are virtually invisible. For comfort, it must be worn over a tee shirt. Since it is for deep concealment, it is not designed for a fast draw but it works well under a dress shirt or any kind of button down shirt. It might also work well under a loosely fitting polo or golf shirt but I don’t think it would work well under a tee shirt because they tend to fit tightly and it likely would be noticeable. Some reviewers have complained that it didn’t work for them and recommended other types of holsters. I can’t imagine that if properly sized for both gun and body it not working. I bought mine for a Bersa .380 (not Thunder or Firestorm) and it fits as though the holster had been custom-designed for the pistol. I’ve worn it for 12-14 hours days and while I’m glad to get out of it, I’ve felt no discomfort over that period of time. The holster comes with a holding strap but I do not use it for the .380 and the weapon always feels secure. I’m still looking for the perfect deep concealment holster, but this one may be as close to perfect as I’m gonna get with this one. If in doubt about the proper size, be sure to check with the Pro Active Gear people. I’ve found them very responsive and easy to work with. I bought this holster for my sub-compact Bodyguard 380 Semi Auto. 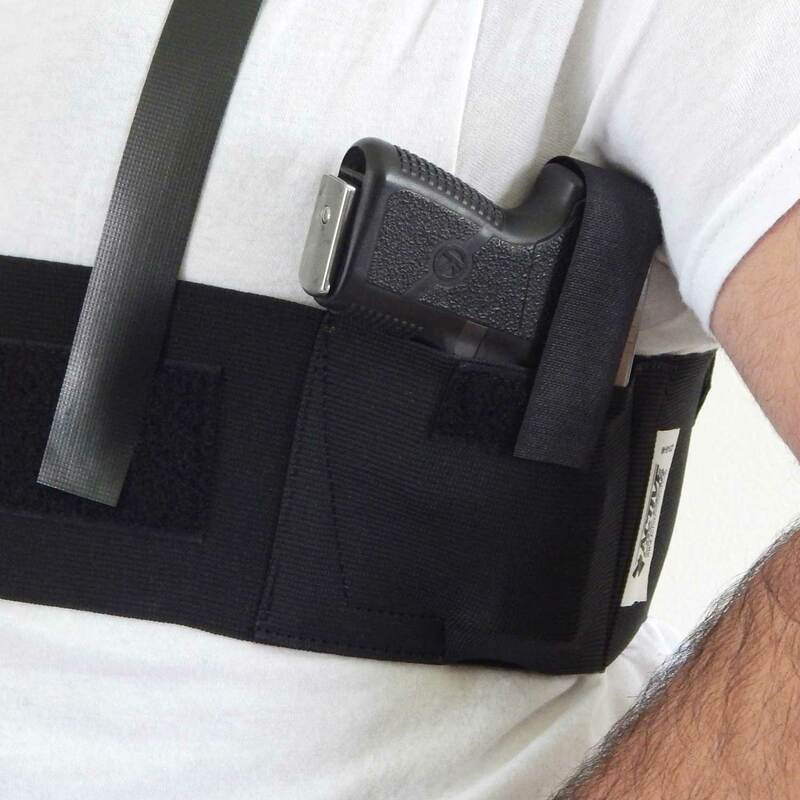 I normally wear an ankle holster but wanted something I could wear under a dress shirt when my slacks are too narrow or short and I risk exposing the weapon when I sit down. This holster is extremely comfortable to wear. The adjustable shoulder straps allow me to move the holster up or down as I desire. Once fitted, it does not shift, slide or print through even my most fitted shirts. The material is very durable and the stitchings are solid. The holster comes with a piece of velcro to be used as a retention strap, but I found it to be unnecessary. The gun fits very snuggly and frankly, the velcro is so heavy duty, I think it would be a detriment to trying to present the weapon quickly and smoothly. (And it’s difficult to covertly pull your weapon when you’re making a loud “ripping” sound removing the velcro strap). I was pleasantly surprised recently when I decided to see if my S&W M&P 9MM Compact would fit the holster. I’d been searching for a deep conceal holster for this larger gun because I thought this holster was too small. I was wrong. The M&P fits perfectly. It turns out the material is so “stretchy” it can accommodate a wide variety of pistols. I’m able to carry not only the Bodyguard 380 and M&P 9MM, but also a WWII Mauser 32 ACP and my Walther P22. The addition of the two magazine slots on the other side of the holster is a big bonus. For the money, this is a fantastic every day wear holster and I highly recommend. This is an awesome holster, I carry my sig p938 an never know its there. I also wear on weekends with t shirt awesome. You wont be disappointed. .. 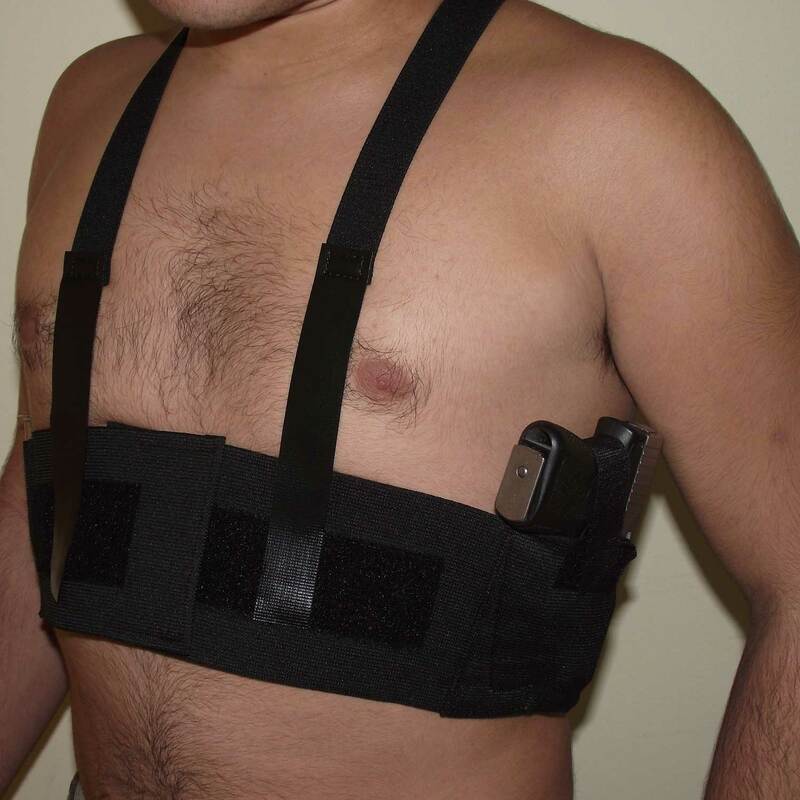 Comfortable, conceal carry with minimum clothes. Fits multiple small/medium autos. Use it with my Glock 26, SCCY CPX 2 so far. About 2 years ago I bought this holster and after 6 months of wearing it daily, I was so pleased with it I ordered a second one so that when it wore out I would have another. After over 2 years of daily use, the new one is still in the package. I put everything in it from a S and W air weight to a Springfield XD mod 2 45, and they all fit great. As others have said, I found the retention strap unnecessary. Every so often I toss it in the slop sink with some laundry detergent, swish it around a bit, let it soak overnight, let it air dry and it’s nice and clean again. As far as not being able to get to my weapon as fast as other holsters, I say B. S. I usually wear it under a snap type button shirt with the top snap open. I have done fast draws with my friends who use both IWB and OWB holsters with shirts or jackets over them and it’s usually real close as to who gets on target first. As with any method of carry, practice makes perfect. Anyway, great product guys. 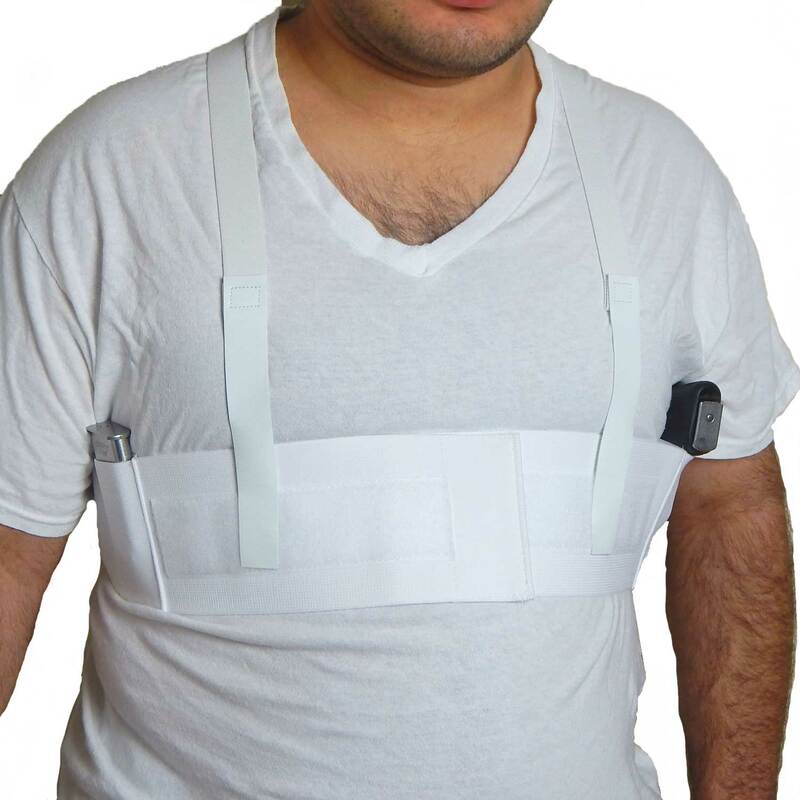 I bought this concealment holster for my husband in white and no one can tell that he is wearing it. It does not matter which gun he is carrying, small or large, it does not show and it is comfortable. I also use this one and can wear it up under my arm or around my waist because I am a bit more slender. I highly recommend this product and the price is great as well. This is my second one. Extremely like it. Gets gun weight off hips and no one is aware you are carrying. The thing is solid, simply put. HOWEVER, don’t try wearing it without an undershirt underneath it. The materials that make up the holster system have sharp edges and corners and it’s definitely not comfortable worn without an undershirt. 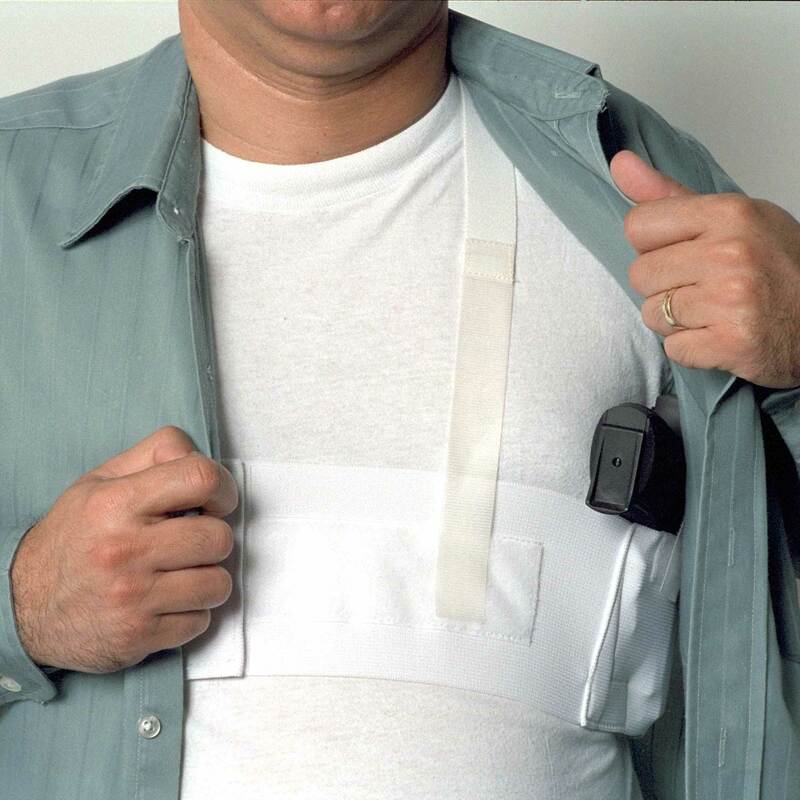 I have to wear office shirts for work but don’t typically wear undershirts…as soon as someone makes a holster that works well against the skin (doesn’t scratch, doesn’t make you sweat), I’ll buy 5. Functionally, it’s great though. I don’t personally see the need for the Velcro thumb strap as I don’t spend any time doing handstands or with my arms above my head. There’s virtually no way the gun could fall out. The Velcro is super strong too, so undoing it makes a lot of noise…a Ninja would hear you draw from a mile away. Positively love it , it’s my second one. I have owned several of these rigs and have carried one since they became available. I always wear western shirts with snaps and I leave the next to top snap unsnapped and it lays flat and looks like it is snapped but gives me easy access to my gun or mags. I wear my gun every day and if I am not wearing it is within a short reach (at night in bed}. I have given these rigs a gifts and I encourage everyone who is legal to carry everyday day and all day. This is the best unit on the market and I have tried others over the past 55 years. I would encourage everyone to buy this product as it is the best on the market and a bargain at the old price much less the current price which I just ordered another just to have on hand or to give as a gift. Skeptical at first, but decided for the money I’d give it a try. So glad I did. Never had a shoulder holster so comfy. It ain’t a fast draw holster by any means, but for endurance carry it’s the best. My G17 is virtually invisible and I almost forget it’s there. I received my deep concealed shoulder in just three or four days and have been very happy with it. I can hide between a white tee shirt and a colored tee and it hides just fine.This type works well for me because when I walk every morning at the mall and I wear thin short pants without a belt.I couldn’t be happier with it. I bought this holster to use on specifically on flights. I’ve usually worn IWBs in the past but they were the best for long flights. This holster worked perfectly. I only wore a dark polo or tshirt over then holster and it was completely concealed. Also felt much better on the plane ride. Very pleased with this product. I purchased this holster harness for my Para Lt. Wt. Commander, Colt Night Defender and my M&P 357 Sig Compact. The Defender and the M&P have mag. extensions to give me a full grip. The only problem is with a full grip pistol you have to blouse out my shirt some but that’s no big deal. My use is for larger people events in hot weather. I want a pistol with a full grip to give me greater control (shot placement) if I have to use it. All my carry guns are equipped with CT grip laser sights. When practicing approx. 20% of my rounds is with the CT. The CT is an additional tool. To date 8/15/2018, since 1/11/2018 1270 rounds (yes I custom load) as all should. I can see how a smaller backup gun such as my Kimber Micro 9 would completely hidden. I would HIGHLY RECOMMEND this holster system. I purchased the white version as I carry wearing a white dress shirt and tie. Note: also purchased an additional one the next larger size to see how it fits and feels. Definitely not a holster for everyone, but if you need deep concealment and need it for long hours I highly recommend this holster. solid concealment, tricky first time to put on but good after that. Like the way it fits and is concealable under loose fitting clothes. Easy to get out when needed. I would recommend it. I have owned one for over 5 years now and it still works as good as new. I am ordering my second one today so that I may have one available while I am washing one. I carry a full size 1911 Colt 45 ACP and also Kimber 4″ Ultra Carry models. You never feel it is there, I promise! No printing and it is easy to get to. My favorite holster, by far! Do wear a Tee Shirt under it like everyone says though. Would love to see the same model in a soft lined material though! of belly, the belt will rise a little. Trying to tell me something I guess. This is the second holster of this type that I’ve owned. The first, by another company, I thought was OK. It didn’t last more than a couple of years of light use. This Active ProGear holster is so much better! Much sturdier, carries the weapon much more securely, and more discreet.I’m smaller than average (5′-11″ @ 135 lb) but my SW40VE fits nicely under my arm. Once you get the straps where you want, you never need to fasten/unfasten anything other than the main front velcro and slips on and off like a shirt, OVER your t-shirt. The weapon comes out easily when it’s supposed to, but not when you don’t want it to. I recommend this rig to anyone wanting to carry a weapon and not worry about it showing at all. I wear mine to church in summer under a white shirt, and no one can see the weapon. There is no print of the holster or weapon. I forget I have it on it is so comfortable. It is easy to get to when and if you need to. This is my 3rd holster of this kind.Chest band holster. The best and most comfortable that I have found. All day comfort. I would recommend this product to anyone wanting concealed carry! Like many first time CCW club members 10 years ago, I tried every type of concealed carry holster on the market. I incurred my very own tub of holsters before I was finally introduced to the Active Pro Gear Shoulder Gun Holster by a friend of mine. This holster takes no “break-in period” as it’s comfortable right out of the box. I wear this all day, every day with an XDs in .45 ACP with no issues. Well worth the money! 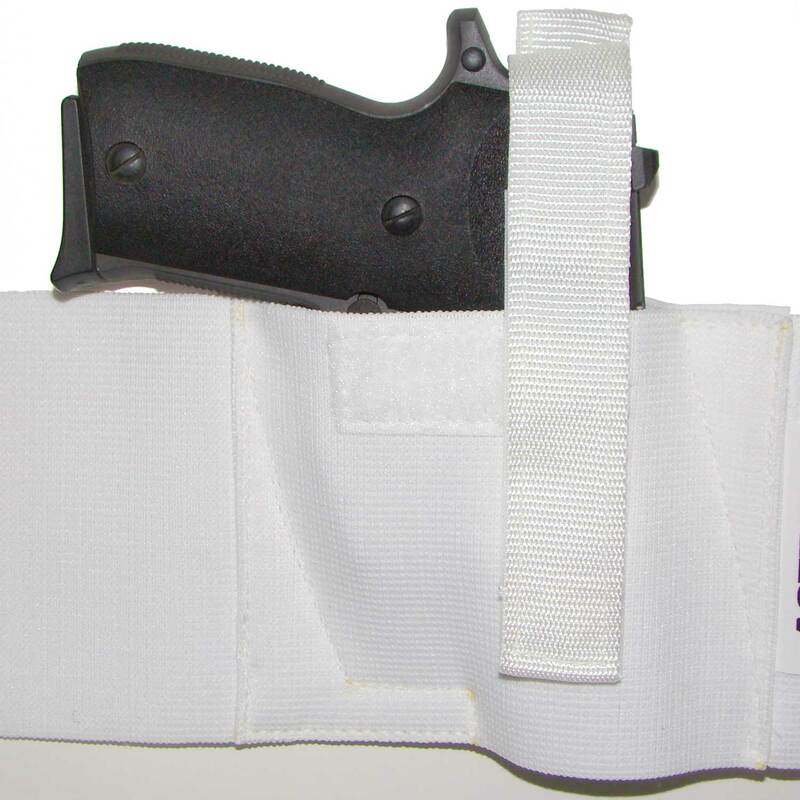 I just received a white 234 shoulder holster from Active Pro Gear. I have owned a black one for many years. It is by far, the most comfortable way to carry a firearm. I have a whole drawer full of belt holsters and this is the one I use most of the time when I carry. For the quality and price, this rig just cannot be beat. I have used it to carry a PPKS, Browning HI-Power, Colt detective special and my every day choice, a Kel-Tec PF9.You can wear it all day as you will forget you have a firearm it is so concealed and comfortable. I own both the black and white holsters. Absolutely the most comfortable way to carry. Also provides great concealment. My Taurus 357 is totally invisible and my G27 barely prints under a light weight shirt. No jacket required. I have it on right now. Comfortable, and easy to put on and wear. I now carry all day, every day, everywhere. What good is a carry holster if you don’t want to wear it? It’s like American Express…..I don’t leave home without it. After spending $100s I have finally found a holster that is actually comfortable and WORKS! I bought this for my Glock 23 (40 cal) and at the end of the day I must say that I do not have any shoulder pain and my friends say that they cannot tell if I am carrying or not, even when they are looking for it. Like many hand gunners, I have a box full of holsters that just don’t work as well as I would like. I tried the Active Pro Gear deep concealment shoulder holster and it is a winner. It is comfortable and holds the firearm securely. Best of all, it will work with a wide assortment of handguns. The customer service at Active Pro is first rate. I highly recommend the company and their products.